Now that you have hired your candidate and they are your employee, the Social Security Administration will allow Validex to act on your behalf to validate the information, giving you confidence that this key data is correct – relieving you of another daily task. You guarantee that this key identifier is, in fact, correct. Your payroll records begin with the right number, avoiding considerable headaches caused by errors. 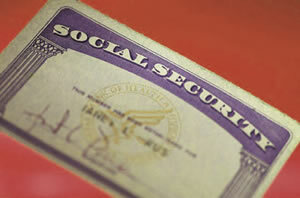 Note: The Social Security Administration supports this service ONLY for the purpose of I-9 and W-2 identification and forbids taking adverse action without the applicant having the opportunity to resolve the discrepancy. Partner with the Experts - Contact a Validex Account Executive for details of the Validex Post-employment Social Security Number Validation service and how we can add value to your hiring program.